The EU Protected Food Name scheme was introduced in 1993 to protect traditional and regional foods and drinks whose origin and authenticity can be guaranteed. These ingredients and products are protected legally from imitation throughout the European Union and with some countries outside the EU through reciprocal agreements. Wines have their own scheme and are classified separately, although they still carry the same PDO/PGI ratings. Some question the limitations these rules place on food markets and the immoveable restrictions on production that legal recognition attracts. However, there are significant benefits from raised consumer awareness of speciality foods, as well as the support these rules give to rural areas and farmer incomes. Some European countries – notably France, Italy, Spain and Portugal – already had systems for protecting wines and foods in place. These systems now run concurrently with the EU systems and the decision over which classification to use on labels is left to the producer. There are differing degrees of uptake of the EU labels across the various countries – this is explained further in our guide to each country’s system. With very few exceptions, all of the foods that were protected under the individual systems have also been grandfathered into the new EU system, regardless of whether they fit the specifics of the new, tougher regime. All aspects of the production and processing must take place in this area. 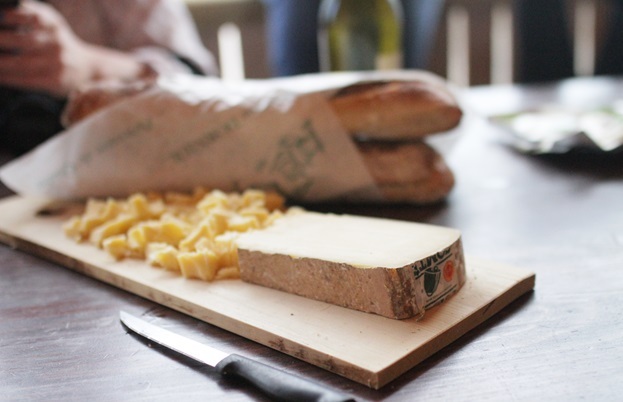 For the past 700, perhaps even 1000, years, Comté has been made in the Franche-Comté region of eastern France. Montbéliarde or French Simmental cows, which are the only breeds permitted to produce milk for Comté, feed on the unique flora of wild flowers and herbs found in the high pastures of the Jura Massif mountain range. There are limits on the use of growth hormones, silage feed and antibiotics, and only a certain number of cows can graze per hectare. The unpasteurised milk must be made into cheese within twenty-four hours of milking, in dairies (fruitères) no more than twenty-five kilometres from a farmer’s herd. 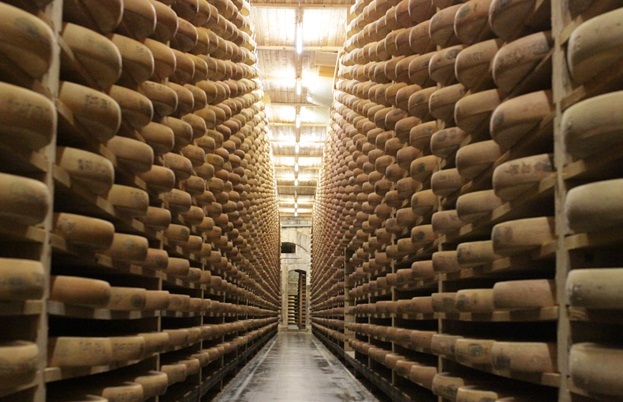 Cheeses are then aged in cellars (Jura maisons d’affinage), where they are carefully managed for a minimum of four months (sometimes years). Before being awarded the Comté PDO classification, cheeses are tested for appearance and taste. The result is a strong, slightly sweet cheese; there are eighty-three separate flavours that can be detected in the paste. The flavour of the cheese changes subtly over the year as the diet of the cows changes with the seasons. The essential properties of the food must be connected to a geographical location – either natural influences or distinct local knowledge. Located in the most western point of Wales, Pembrokeshire is surrounded by sea on three sides which is warmed by The Gulf Stream. This warmer climate means low risk of frosts during the growing season, which promotes early growth. As the potatoes are in the ground for less time, they are fresher when ready for sale. The ancient geology of Pembrokeshire (much of which is more than 280 million years old) contributes to the flavour of this unique potato. That being said, the geographic influence on a product does not need to be completely unique for PGI foods – the local link can be history, tradition or reputation. 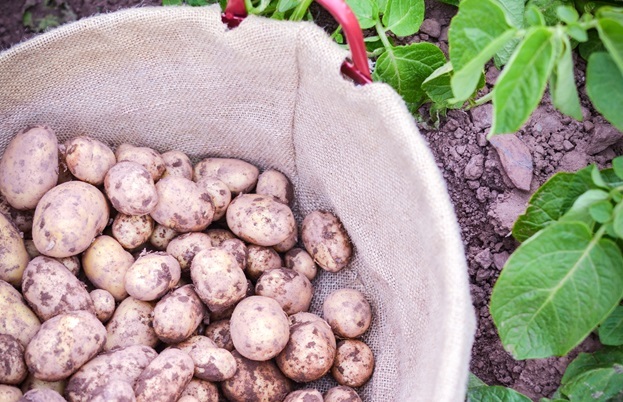 There are hundreds of years of history of potato growing in Pembrokeshire and specific regional knowledge of the climate and soil is used when preparing the soil, producing seed potatoes, planting and harvesting. The seeds are sourced from basic seed varieties – not necessarily from Pembrokeshire. Further processing, such as washing, can also take place elsewhere. 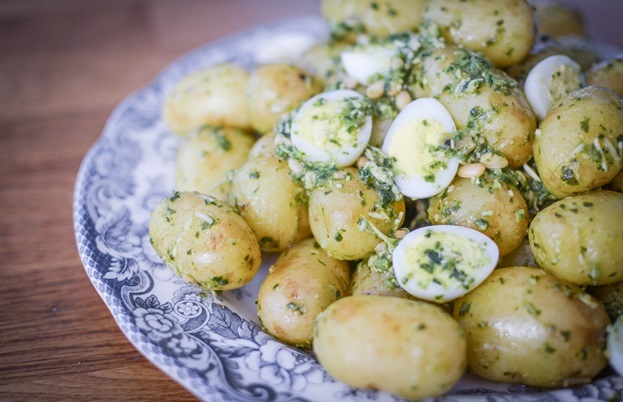 The result is an early new potato with soft-skin and an earthy, nutty flavour. The flesh is bright white and the texture is creamy. The product must have characteristics that distinguish it from similar products and although methods of production are historically fixed in the same way as PDO and PGI, they must have been consistent for at least the past thirty years. Pizza Napoletana is one of only two foods in Italy with TSI status. The name refers to a method of making pizza with its origins in the Naples region. There is long history of producing this pizza in the area, but as this is a TSI product, it is the method of production that is protected, not the region. Pizza Napoletana need not be made in Naples to carry the name, but it must follow the traditional Neapolitan method. The essential raw materials for this pizza are wheat flour with 11-12.5% protein, water, yeast, tomatoes (small and fresh or peeled), kitchen salt or sea salt and extra virgin olive oil. Optional ingredients include oregano, garlic, mozzarella TSI and mozzarella di bufala Campana DOP (buffalo mozzarella from Campania PDO). All aspects of the pizza’s production – making and raising the dough, shaping the dough balls and pizza bases by hand, and baking in a wood-fired oven – are covered in the TSI regulations. The result is a handmade pizza with a puffed, raised rim (created by the hand-stretching) with a soft, tender, easily foldable base. It is a uniquely delicious style of pizza with concentrated, flavourful and aromatic toppings.